Christmas is that time of the year when the shops become awash with an abundance of gift ideas and the pressure to give something extraordinary comes into full force. 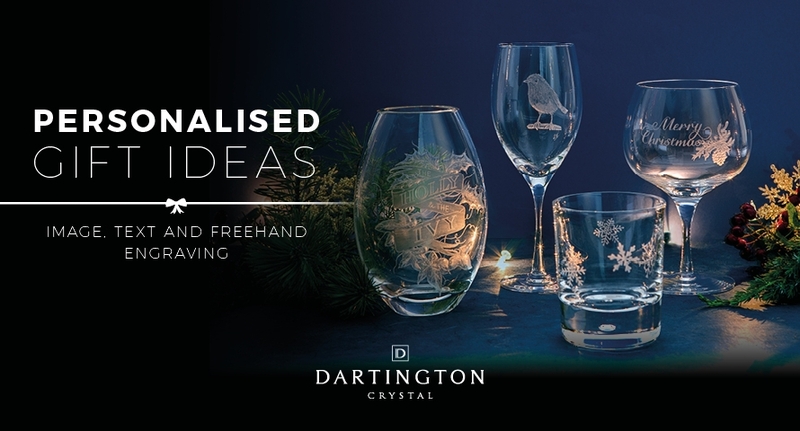 Here at Dartington Crystal we look to take the stress out of Christmas by providing a bespoke, personal touch to our finest drink and homeware gifts. Nothing says thoughtfulness like a personalised gift, tailor-made by you, for them. Something to cherish and enjoy all year round. Bring your creative ideas to life with our image engraving service, providing you with the opportunity to create something truly beautiful for a loved one or friend. Be it a scene that conjures up fond memories or holds a significant meaning engraved onto our Florabundance Bouquet Vase. Or perhaps you want to gift a personalised centrepiece like our Lynton Medium Bowl engraved with a seasonal Christmas theme to become a memorable Christmas decoration. 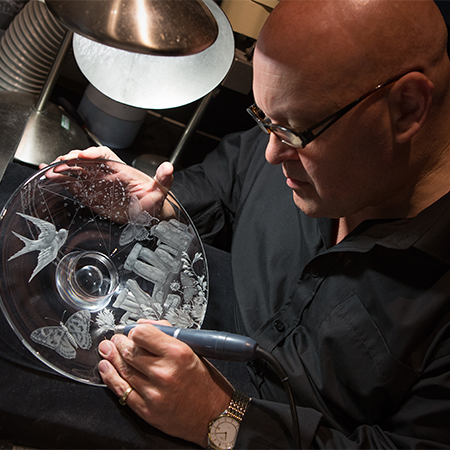 Whatever your engraving and whatever your gift, our experts can craft exquisite imagery in the finest of detail to suit your exact specifications. Just get in touch via our Image Engraving page to find out more. If you can draw it, we can engrave it! If you’re looking for a more sentimental gift this festive season, whether it’s a gift for mum, a gift for dad or a personalised gift for the grandparents, our freehand engravings look fantastic when created from children’s drawings and handwriting. Why not engrave one of our Real Ale Tankard as a gift for dad or our crystal Wine Master Chef's Taster Wine Glasses for mum? We’re open to all ideas and the process couldn’t be simpler, just head to our Freehand Engraving page to find out how you can give a completely unique, personalised gift this Christmas. There’s nothing quite like seeing your words etched effortlessly onto one of our Wine Master Flute Champagne Glasses or a loved ones name on their very own Just the One G&T Copa Glass Our talented hand engravers use a variety of techniques to create personalised gifts engraved with a special phrase, a special question or simply a name that can be treasured for a lifetime. For more information and ideas take a look at our text engraving page. Christmas shopping needn’t be difficult this year; we really do have your Christmas gifts sorted! There’s something for everyone on your list and something to suit all budgets in our glass and homeware collections, from beer and cider glasses to whisky glasses, from clocks to vases. 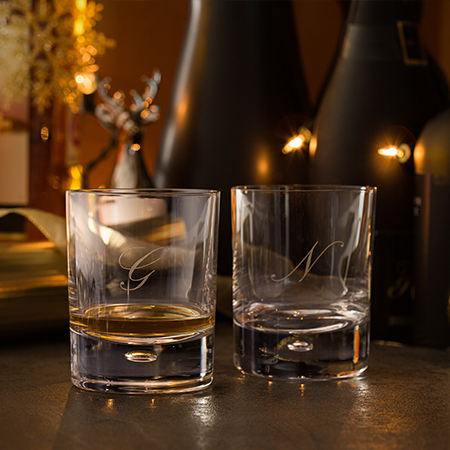 Make your gift extra special this Christmas with one of our many engraving options.